If you’re looking for a unique and flexible tour then our customizable tour option is for you! 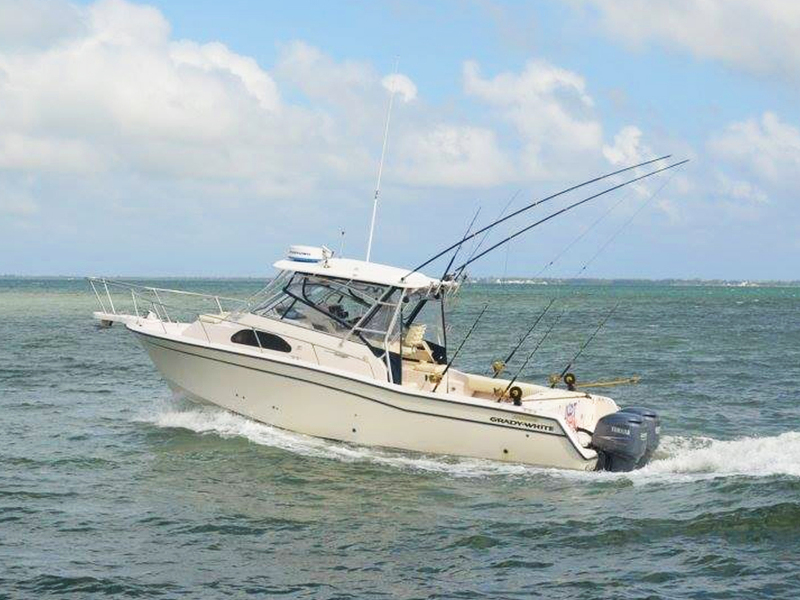 Our 6 and 8 hour charters can be completely customized to your liking and include a combination of activities. This option gives you the ability to use your time as you please – like a real islander! You can customize your day to include fishing, swimming with the stingrays at Stingray City, lunch at a waterfront restaurant in the North Sound, snorkeling, or a stop at Starfish Point. The tour combinations are endless! In addition to sport fishing, we also provide charters to Stingray City where you can enjoy a few hours of interacting one on one with the rays. We provide you with squid so that you can have the opportunity to feed them by hand (which is a great way to get once in a lifetime pictures!). The Sand Bar also offers the unique experience of being out to sea but in waist deep water where you are able to stand and see straight down to the sand, and a great view of the rays swimming around. 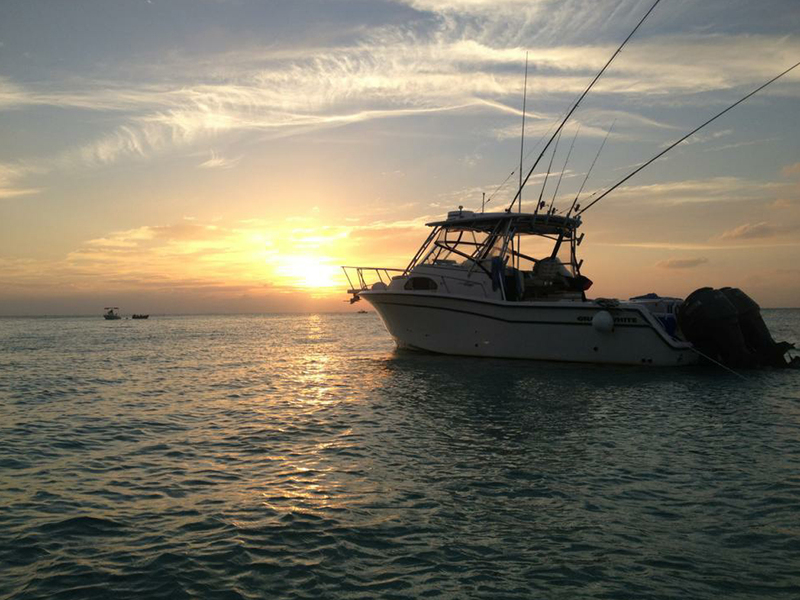 A trip to Stingray City is truly an unforgettable experience, and it's likely to be the highlight of your conversation when you talk about your Cayman Islands vacation with your family and friends back home. WE CAN COMBINE ALL FISHING TRIPS WITH A VISIT TO THE STINGRAYS OR SOME SNORKELING IN THE NORTH SOUND LAGOON. Max guest for this trip is 6 anglers. 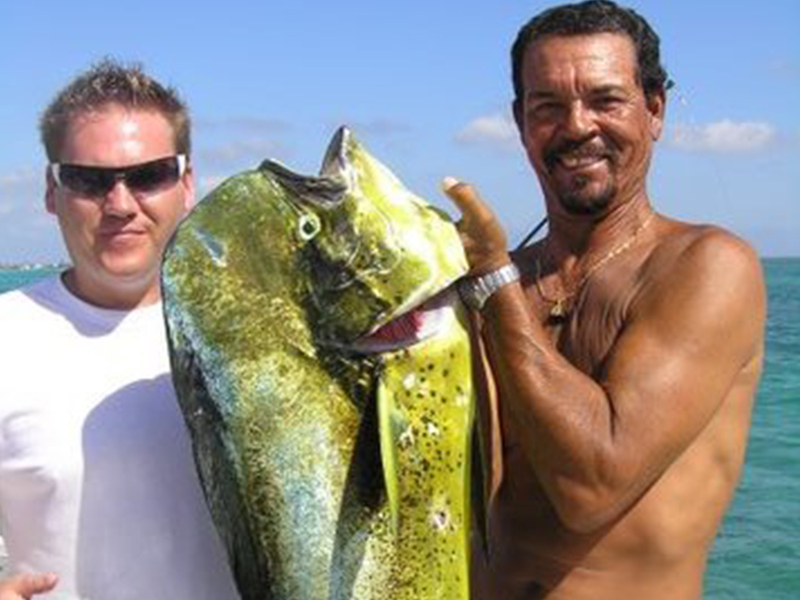 This trip is a 4 hours Snorkeling, Stingray Sand Bar, Deep Sea Fishing or Reef Fishing Trip. You can also combine different activities. 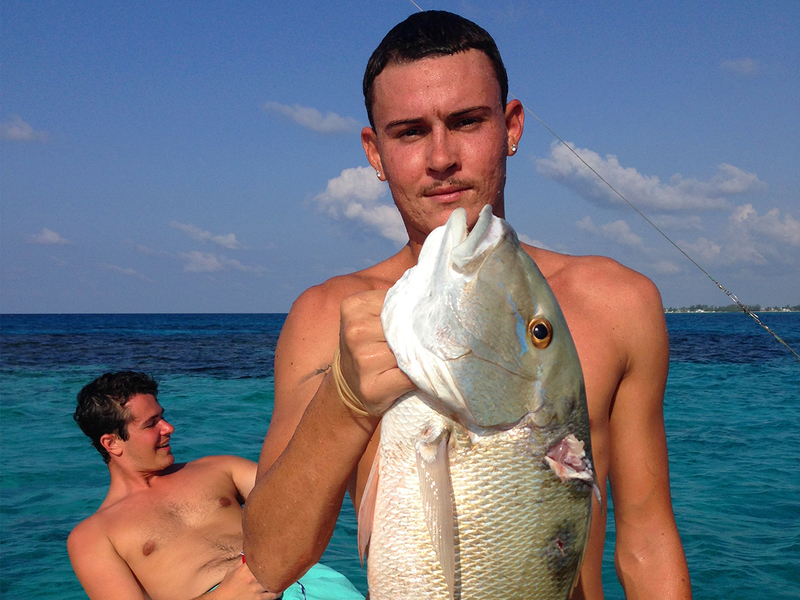 This trip is a 6 hours Deep Sea Fishing or Reef Fishing Trip were we target the main fish species that are abundant around Grand Cayman. 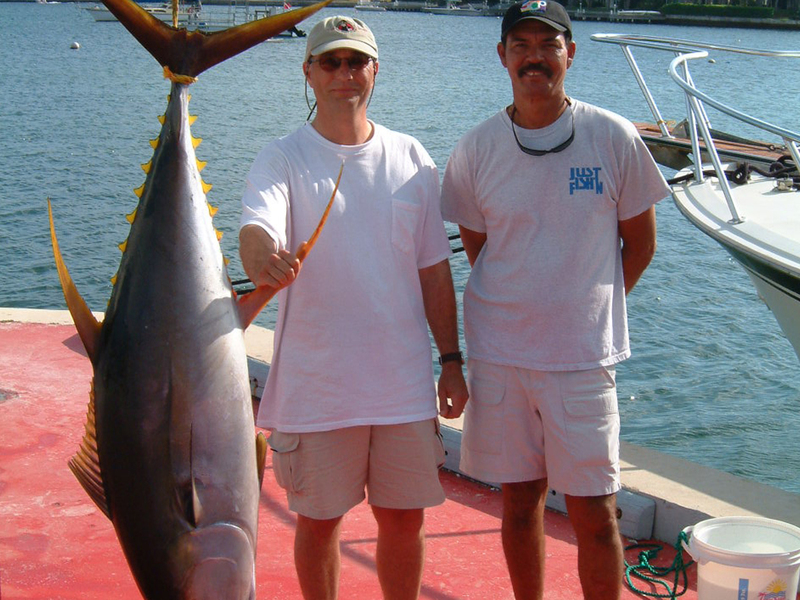 This trip is a 8 hours Deep Sea Fishing or Reef Fishing Trip were we target the main fish species that are abundant around Grand Cayman.